Cranbury Historical and Preservation Society presents its 2015 Historic House Tour The Next Generation on Saturday, September 26 from 10 a.m. to 4 p.m. 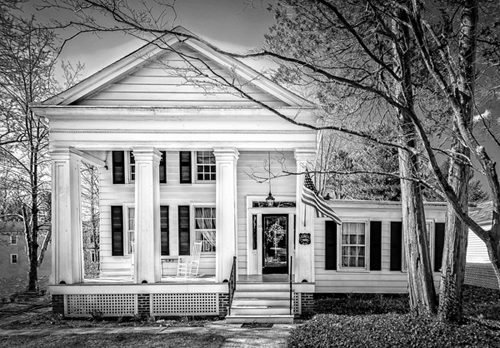 The tour will feature six historic homes and the First Presbyterian Church, c. 1839. Additional buildings include the Gristmiller’s House, c. 1868 (now Cranbury History Center); Firehouse Museum, c. 1920; United Methodist Church, c. 1848; Town Hall & Gourgaud Gallery, c.1896; and the Garrett P. Voorhees House, c. 1834 (now Cranbury Museum). Tickets are $20 in advance and $25 the day of the tour. The Cranbury Historic House Tour, held every two years, is the primary fundraiser for the Cranbury Historical and Preservation Society. Information including directions and ticket purchasing are available online at www.cranburyhistory.org. Tickets will also be sold at local stores: Cranbury Bookworm, Haru, Studio 43 Hair Design, Perennial Home in Hightstown and at the Cranbury History Center, Cranbury Museum and Callaway Henderson Sotheby’s Realty. Tickets purchased on the day of the tour, to be sold in front of Callaway Henderson Sotheby’s Realty at 39 N. Main Street, will cost $25. Advance purchase is also possible by mailing a self addressed stamped envelope and check made out to the Cranbury Historical and Preservation Society to: House Tour Tickets, 6 S. Main Street, Cranbury, N.J. 08512.